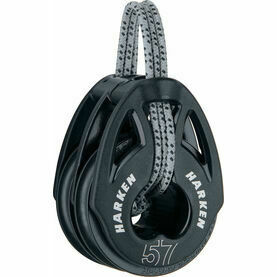 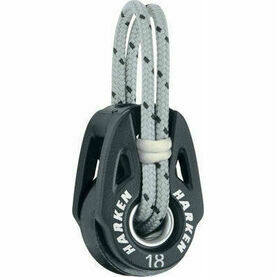 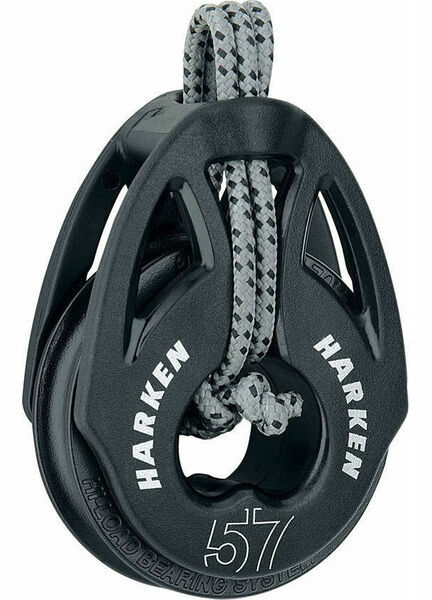 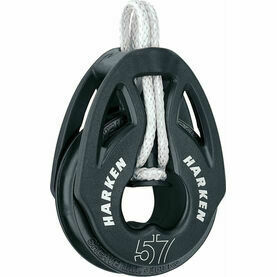 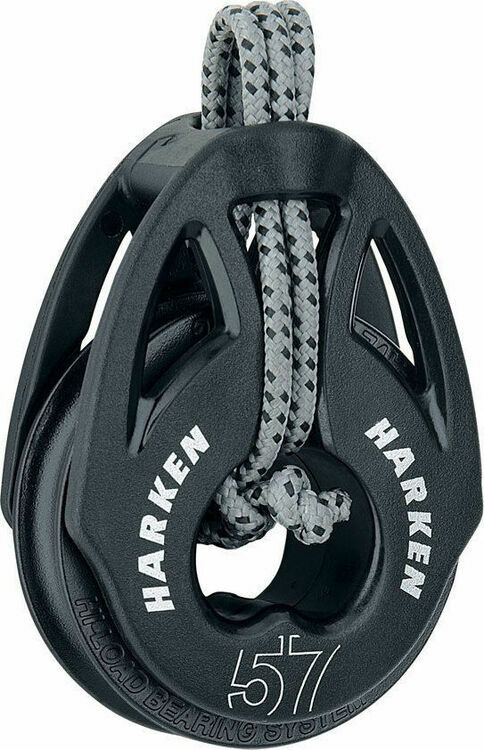 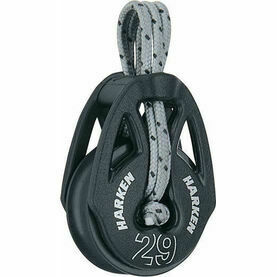 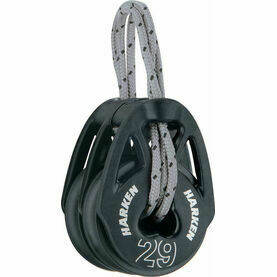 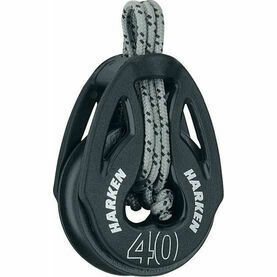 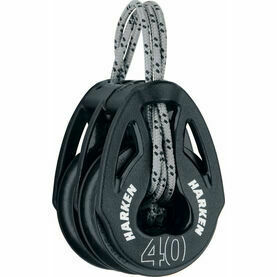 The 57mm T2 Soft-Attach Block from Harken is the first model designed without metal shackled or rivets; which ultimately delivers a more lightweight yet equally flexible and sturdy boat block. 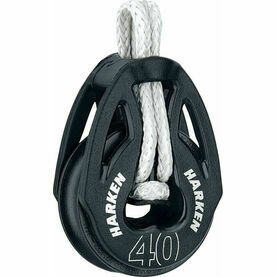 Well suited for traveler controls, mainsheets and vangs as well as cascades, bridles and almost any other system that benefits from a lighter block, the T2-Soft Attach Block can be lashed, spliced or tied to whatever a boat racer needs it to. 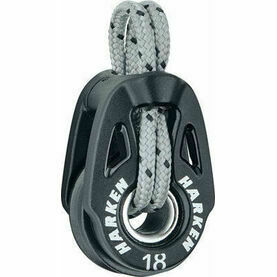 Loops on/off loop system slides through the block head and over the anchor post for a secure connection. 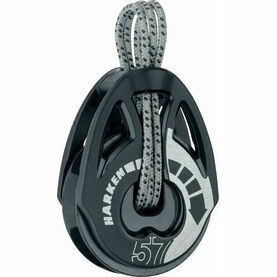 A SK75 Dyneema® loop is included.